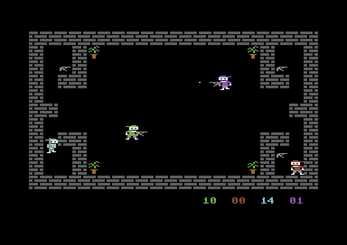 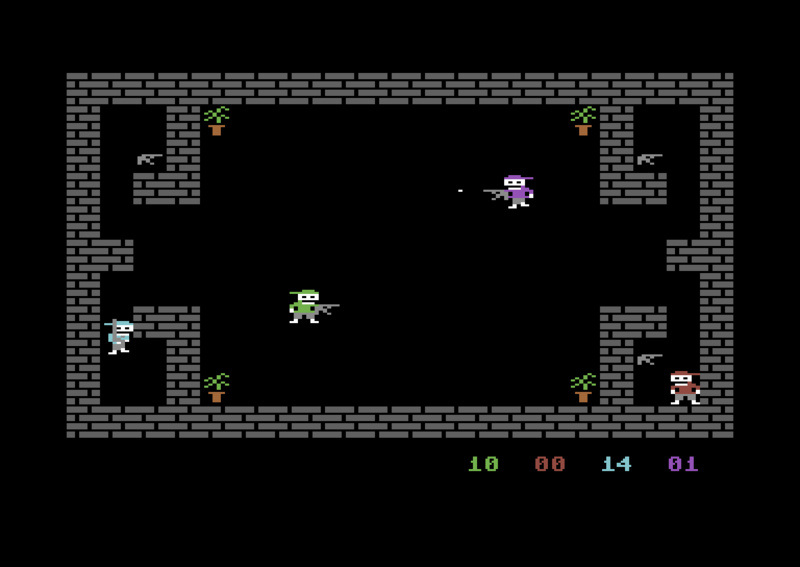 SHOTGUN is a fast-paced action game for your Commodore C64/C128 which can be played by up to 4 players! 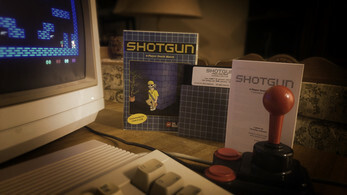 Collect a gun, then shoot the others, without letting them kill you first! 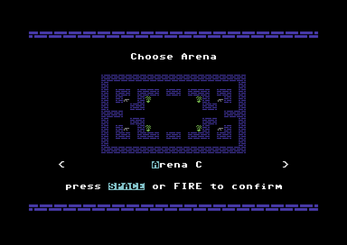 This game supports the "Classical Games 4-Player Interface", which you can buy online for little money, or you can even build one by yourself. 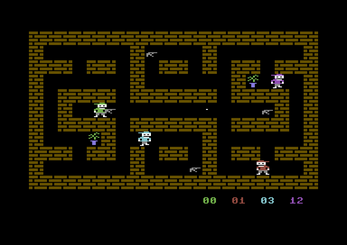 More information about this device can be found here. 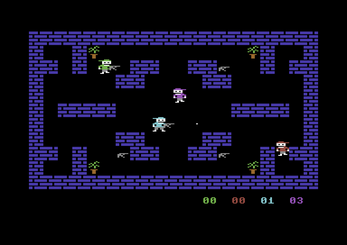 Note: This is a game for the Commodore C64 home computer. 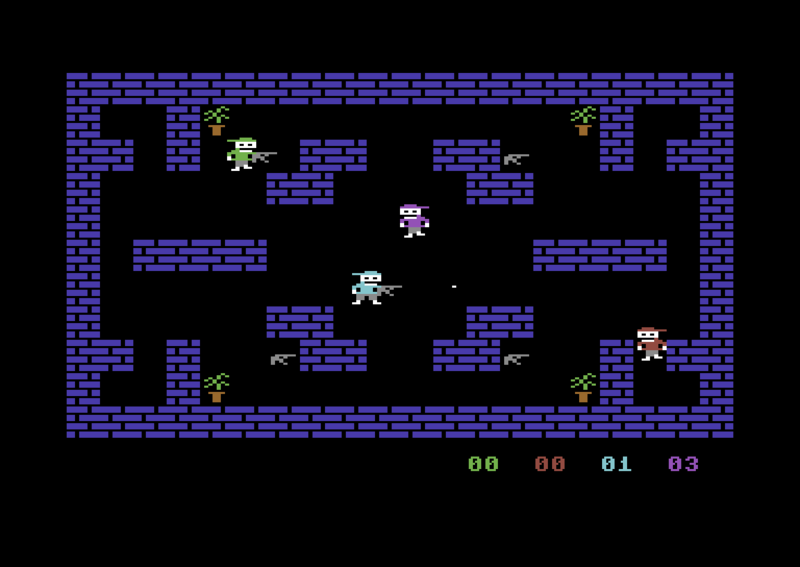 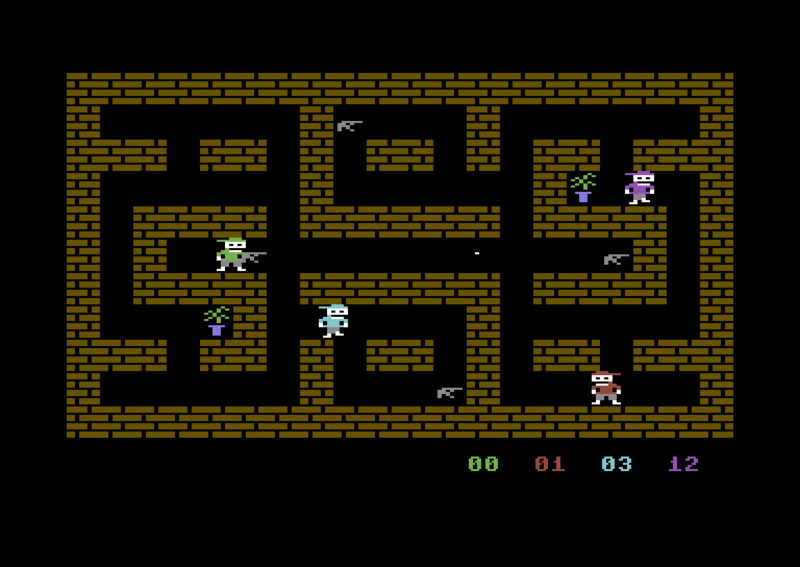 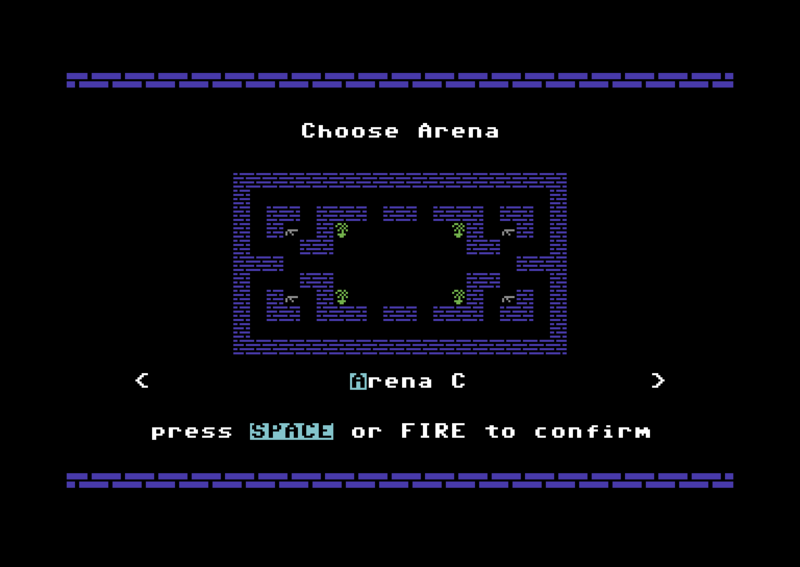 If you have no C64 or if you have no possibility to transfer .PRG or .D64 files to a real C64, you can use an Emulator like VICE to play it on your PC/Mac or similar (VICE actually supports 4 joysticks, btw). 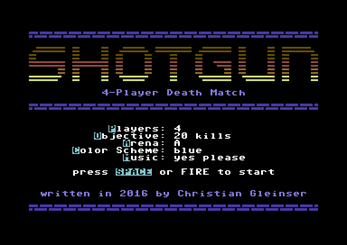 Another Note: There will be a real Windows and Linux version soon, and possibly a Mac version too!